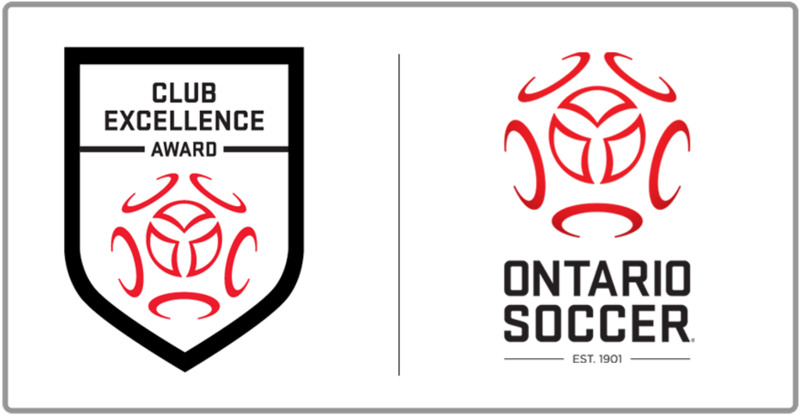 Ontario Soccer is proud to announce the 2017 recipients of the Club Excellence Awards. The Club Excellence Award program was established in 2007 and has grown into an acclaimed, province-wide recognition program for effectively-run community-based soccer Clubs, which offer safe, healthy and enjoyable environments for all involved. The Award is based on a framework of criteria at three different levels - Bronze, Silver and Gold - and is valid for 2017 and 2018. Community Clubs that are able to achieve any level of the Club Excellence Award have provided tangible evidence of the required criteria to Ontario Soccer, which is carefully reviewed and evaluated. While technical components have been added to the list of criteria in 2016 the main focus lies on good governance and effective community soccer administration. Achievement of the Club Excellence Award is a combined effort from the Club, District Associations, Leagues and the OSA. This year's Club Excellence Awards will be presented to clubs at the Ontario Soccer Summit 2017. The list also makes note of Clubs that have either renewed at the same level or upgraded from a lower level in previous years. Congratulations to these Clubs that continue to strive to create the best possible environment to promote and develop our game at the community level. If you have further questions, please contact Paul Burns.